Sounds exciting! Thanks for letting me know about it. I'm going to buy a copy and let you know how I liked it. Ooh, I love it when a book keeps me up late! 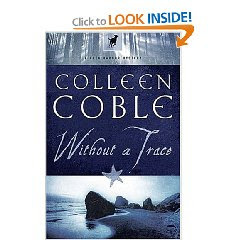 I always hear about Coble but haven't read one of her books yet. Sigh. So many good books and so little time. Yeah, it was a real page-turner. With limited time, it's a challenge to get to all the books I want to read. I have read this series. I liked the story. I need to read it again but I haven't gotten to the library in a long time. Too much going on. This book really hooked me. I can't wait to get the rest of the series and anything else Colleen has written. One of the problems with reviewing books is the need to give a wide range of authors and genres. I can easily get absorbed by one author if I like their work.